In 1887 Canadian brothers George and W B Chaffey established Irrigation colonies at Mildura and Renmark to produce a wide range of horticultural crops, on their own property on Belar Avenue Irymple. They planted 150 acres of wine grapes and established Chateau Mildura, giving birth to an industry that in the Sunraysia and Riverland areas has grown to produce over 50% 0f Australia’s wine grapes. Chateau Mildura until 2002 was part of the company originally Mildura Wines Pty Ltd that has grown into Beringer Blass the worlds largest premium wine Company. 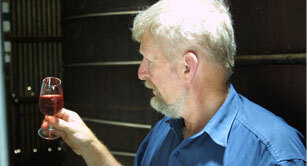 In 2002 it was purchased by 4th generation local horticulturist Lance Milne who has re-established table wine production and cellar door sales in the building. Lance’s Grand father and great grandparents were original settlers at Merbein when the area was opened for irrigation in 1913. He has spent his working life producing a wide range of different horticultural crops and has a passion for the districts irrigation and horticultural heritage. A large portion of the Chateau Mildura complex is also open as a museum. Please browse our website to learn more about the history of the winery, our region and to buy some of our fabulous handcrafted wines through our online store.